Welcome to Mini-Tip Monday. Give me three minutes of your week, and I’ll show you a quick and powerful Bible study hack to deepen your time in God’s Word. Is a complete tutorial too overwhelming? Or are you just hungry for more? Here is your bite-sized Bible tip to start off your week with Scripture confidence. Thankfully, we have plenty of Bible translations and easy access to them. That’s a blessing not everyone in the world enjoys. Let’s put together a combination of Bible translations to form your favorite power-combo. New American Standard Bible (NASB): This Bible is one of the most literal translations we have in the English language. At times it may feel a little choppy but that oddly makes it easier to memorize (little side-tip). This was actually my preferred translation while I was in college. It gave me a real sense of studying the Bible as close to the original as I could while still reading English. English Standard Version (ESV): The ESV is currently the preferred version of many conservative churches. It reads more fluidly than the NASB while still taking great care to translate as close to word for word as is sensible in the English language. New International Version (NIV): This is the most commonly used version of the Bible in America. That is one big reason why I use the NIV on my blog when I quote the Bible. 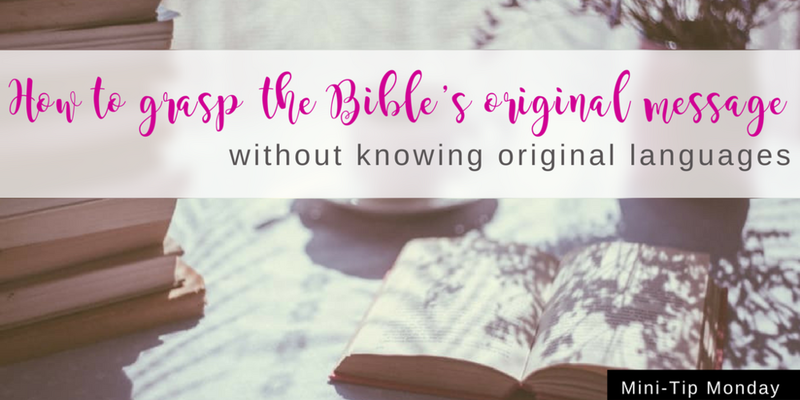 I want as many of you as possible to be able to follow along in your own Bible. I also believe this is a great translation that captures the Bible’s every thought. The translation team had to make some interpretation decisions in order to give us the best English equivalent of the original text. New Living Translation (NLT): The New Living Translation is actually really great for those of you who struggle to understand the English used in the previously mentioned versions. It's great for teenagers as well. The NLT is as close to a “dynamic equivalent” translation as you will get while still reading a transliteration. It is in the middle between those two categories but officially is still a transliteration. Consequently, this Bible is not your best choice when you want to study in depth and understand the original text as closely as possible. However, when you come across a passage you don’t understand even in the NIV, checking out the NLT would be a great next option. If you are reading the Bible for encouragement or to grasp the overall message, especially as you get started reading your Bible, this is a great translation. It's still among my top recommendations. The Message (MSG): The Message is an extreme example of a transliteration. Instead of translating each verse, it translates passages using modern-day slang. Unfortunately, in my opinion this makes this translation so loose that it almost reads like a commentary. A lot of interpretive decisions have been made. That means instead of purely reading the Bible, you are reading what one person believes this passage basically says in "plain English". There may be occasions to use this version, but I am not a fan. I don't recommend you picking a version that is that much of a paraphrase. There are plenty other versions to choose from. Check out this graphic for more translations and pick your favorite-three combo. How can you access these translations? Nowadays, you can find them for free on sites like biblegateway.com and biblestudytools.com. If you like reading on your phone, the YouVersion app has most of these translations. If you prefer a book in your hands, look for these translations as well as Interlinear Bibles on Amazon. Interlinear Bibles give you several Bible versions printed next to each other in one book. You may not find your favorite-three combo in one printed book, but it doesn't hurt to look.